Gaston Leroux’s moving story of madness, terror and love is the source of the smash Broadway musical and multiple films. 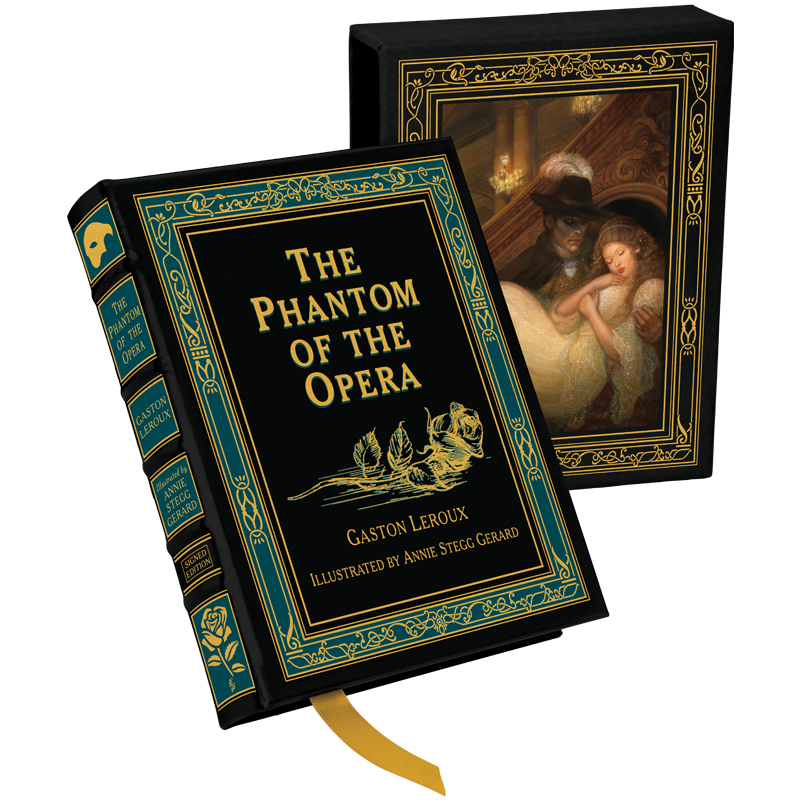 It is brilliantly brought to life featuring ten full-color illustrations by artist Annie Stegg Gerard, for Easton Press. Each image is hand-tipped into the book and protected by a translucent overlay. The book comes in a custom-crafted clothbound slipcase. Each book has been personally signed by Annie Stegg Gerard.